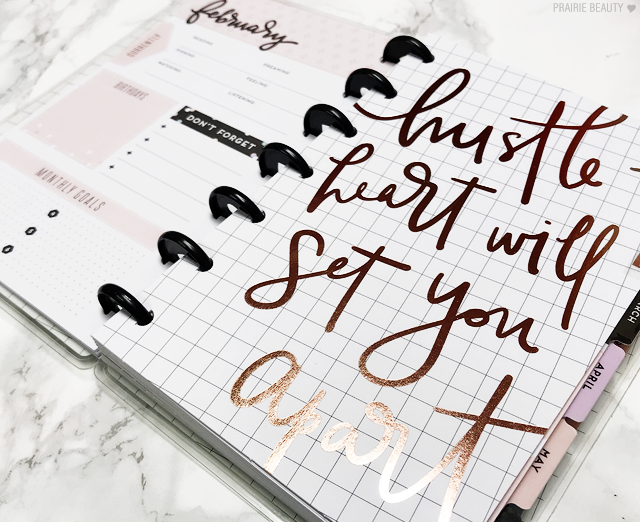 Since I started this blog in 2014, I've wanted to keep a planner consistently. I've actually had more planners over the years than there were actual years, but I've never been particularly good at maintaining them. One of the things I was pretty determined about in 2018 was to get a planner and actually keep up with it. And trust me... I did a lot of planner shopping before I finally picked one that I thought would be right for what I was looking for. I considered Bullet Journaling... but luckily knew myself well enough to know that I would be super excited about that for maybe two months before I completely fell apart with it. 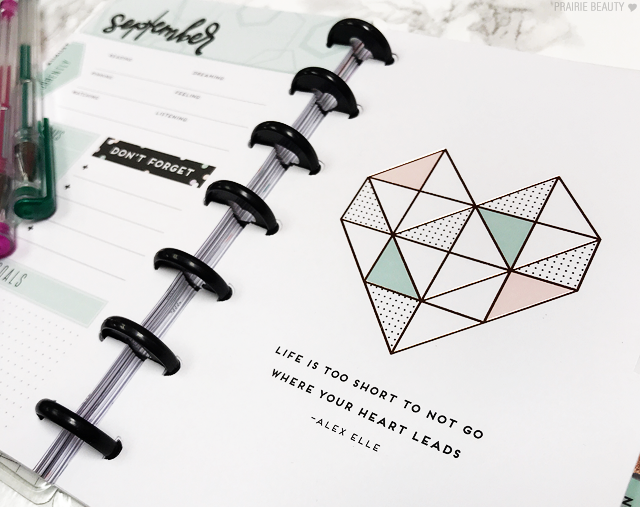 Ultimately, I decided to go with a Mini Happy Planner, because it was super customizable and I would be able to easily throw it in almost all of my purses so I could have it with me at all times. 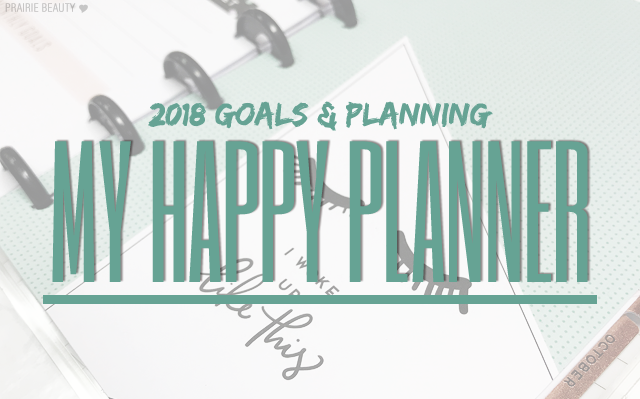 If you want to read about my thoughts on my Happy Planner as well as what I'm planning to track and my goals for planning in 2018, keep reading! The thing that I love about the Happy Planner is really that I can configure it however it's going to work for me. 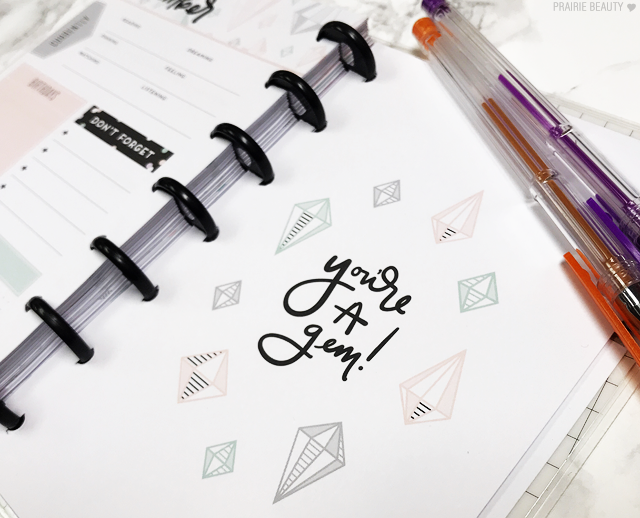 They have a ton of different inserts that you can pick up for your planner, including note pages that I'm taking huge advantage of, and they just pop in and out of your planner without an issue. I actually configured my Happy Planner with only the first 6 months of 2018 and set the sections for the latter half of the year aside to be dealt with later so that I could add a lot of note pages at the back of my planner for various notes, lists, and tracking pages. My first, and probably most important, goal for my 2018 planner is to really utilize it to organize, plan and track things for my blog. 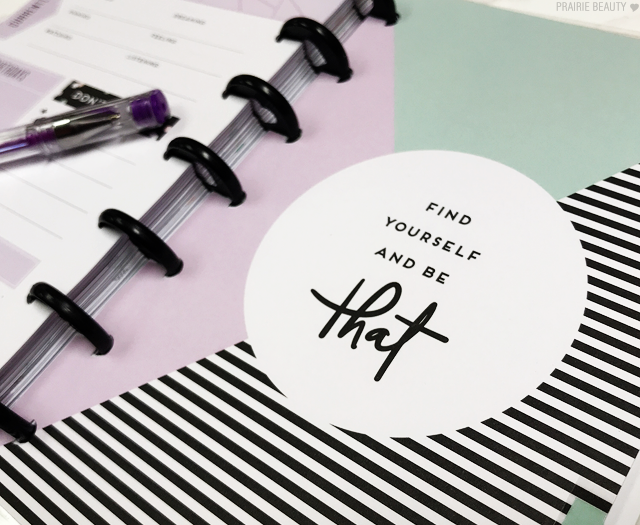 Obviously I'm using the planner for my posting schedule and to make To Do lists for things like taking photos and writing posts, but I'm also using it to track PR samples, track my social media activity, and to jot down ideas for content that I'd like to create. I use a normal wire bound notebook to take notes on products that I'm testing, but I wanted to have all of my blog related ideas, tasks, and activity in one place so that I can have everything at hand, and at the end of the year have a clear picture of how the blog has shaped up over the course of the year. One thing that I was really determined to track in 2018 was my menstrual cycle, not only when I'm actually menstruating, but also pre-menstrual symptoms and when they occur within my cycle. I suspect, though I have not been diagnosed, that I suffer from Pre-Menstrual Dysphoric Disorder (or PMDD), so I want to track my symptoms over the year and see where they're at. I think that it's important to have a clear picture of where you're at with your body so that you can make the necessary changes, so I really want to track things like anxiety, depression, mood swings, and headaches so that I can have a clear picture of my situation. Another reason for that, honestly, is because I want to be able to better understand where those symptoms are coming from, particularly the anxiety and depression, so that I can better manage them for myself. It can be really hard to feel out of control without knowing why, so if I can reasonably attribute those feelings to something that makes sense, I feel like I can better deal with them. This might be a bit of a weird one and maybe a little bit unnecessary, but I have some weird entertainment consumption goals for 2018. The first is that I want to watch 100 movies that I've never seen before, starting with all of the nominees for Best Picture at The Oscars. Every year I say I'm going to watch all of the Oscar movies... and every year I don't, but I want that to be different in 2018. Ultimately, there's no stakes to this goal, but I really enjoy movies and I'd like to keep a log of the ones I watched over the course of the year and how I rated them. The second no-stakes entertainment goal that I set for myself in 2018 is to finish 26 books in 5 different genres. The reason for this goal is actually twofold. First of all, I feel like I tend to have a lot of books in my DNF pile. Whether it's because I'm starting to hate a lot of the offerings out there in my favorite book genre - which is, yes, romance - or because I have a short attention span, I want to commit to finishing books in 2018 and I figured that finishing a book every 2 weeks is hardly a stretch. Also, I added in the different genres because I want to push myself outside of my comfort zone and see what else is out there. Honestly, I'm a little bit of a flake and tend to forget a lot of things, so I want to be able to have a clear cut schedule of what I have coming up, a record of when I last saw friends and family, and a place for To Do and Shopping Lists so that I don't constantly forget things. 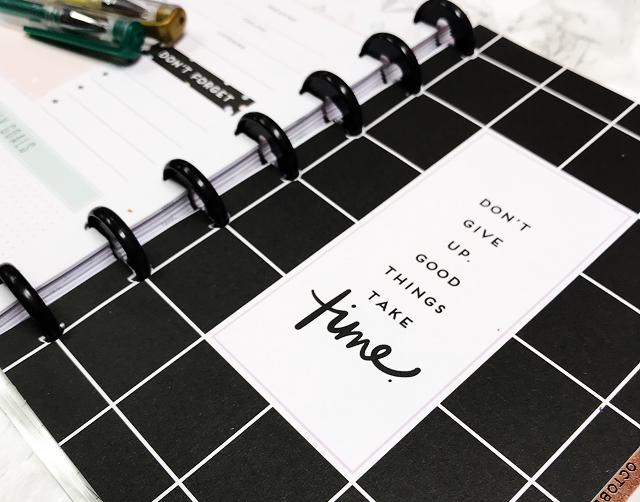 I think that the new push of really organized - and fun - planners with stickers and accessories to make it a little bit more fun and creative is something that's perfect for me... if I can stick to it. And in 2018, I really want to stick to it and be a little bit more of an organized person. Because of my ADHD (again, undiagnosed, but I'm basically a textbook case of an adult woman with ADHD) it can be hard for me to stick to things, to get done the things that I need to, and to ultimate feel productive, so I'm hoping that maintaining a planner this year will really help me to get those things in hand. If you use a planner, I'd really love if you'd comment with any tips or tricks that you have, what works for you, and how you really use your planner to organize your life. 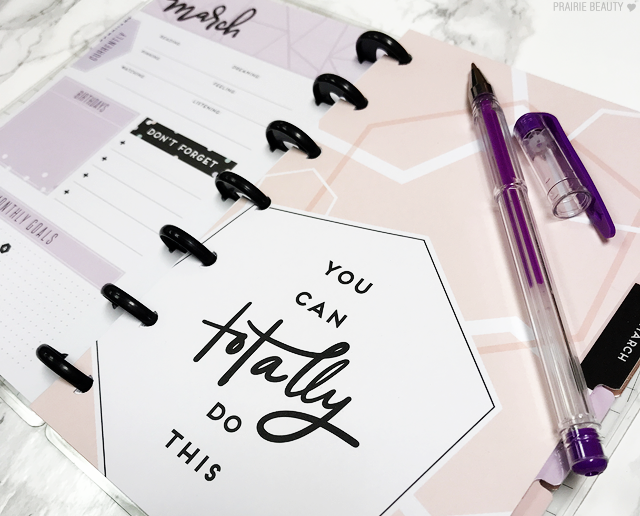 I know that there's a huge push when it comes to using planners recently and there are a lot of people who use them brilliantly, so I'd love any advice that you have to give! Also, I do plan on updating you guys on how my planning is going (if I do manage to keep up with it) so look for posts in the future about how I plan and how things are going on that front!